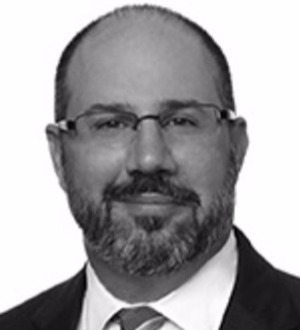 Sam J. Alberts is a partner in Dentons' Restructuring, Insolvency and Bankruptcy group. Ranked by Chambers USA, Sam has extensive experience in both in- and out-of-court restructurings, in the United States and abroad. Named in Best Lawyers in America (2017) for the seventh consecutive year, Sam has represented creditors, debtors, committees, governmental and nongovernmental entities and other parties in many large and complex insolvency matters. Recommended by The Legal 500 US, Sam has extensive investigation and first-chair litigation experience, and has performed significant work with respect to matters involving distressed healthcare entities and financial institutions. In 2016, Sam was recognized in The Deal Pipeline’s “Top Bankruptcy Lawyers” league table and as a "Local Litigation Star" in the District of Columbia by Benchmark Litigation. Hovensa LLC: Chapter 11 (Delaware). Counsel to the Official Committee of Unsecured Creditors of Hovensa LLC, which, when in operation, was the largest oil refinery and terminal facility in the North Hemisphere. Unsecured claims in the case total more than $2 billion. Issues involve the potential sale of assets, assessment of insider claims and related causes of action, and assessing claims of governmental entities. This deal won Private Equity Turnaround of the Year award by the Global M&A Network in association with ArcLight. Nuo Therapeutics Inc.: Chapter 11 (Delaware): Representing Nuo Therapeutics Inc., a Gaithersburg, Maryland based publicly traded biomedical wound care company, in its Chapter 11 proceedings. The City of Detroit, Michigan: Chapter 9 (E.D. Michigan). Represented the Official Committee of Retirees in the largest municipal bankruptcy case in US history. The committee represented approximately 23,500 retirees and 9,000 dependents, who held more than US$9 billion in claims for pension and other post-employment benefits (OPEB), including health care. The representation resulted in the protection of almost all pension benefits and continued health care benefits under first-of-kind municipal retiree voluntary employment benefit association (VEBA) trusts. This representation was honored by The M&A Advisor with the 2014 Restructuring of the Year Award. Greater Southeast Community Healthcare Corporation. et al. and The DCHC Liquidating Trust: Chapter 11 (Washington, DC). Represented the Official Committee of Unsecured Creditors during bankruptcy and, post-confirmation, served as the plan trustee in one of the largest restructuring matters ever filed in the District of Columbia. The cases involved five failed hospitals and a management company and led to multimillion dollar recoveries from the sale of assets and claims for director, officer and third-party malfeasance, as well as fraudulent conveyance and other avoid actions. The representation resulted in the reduction of billions of dollars in claims against the estates and the distribution of more than US$50 million to plan beneficiaries, including an almost 40 percent recovery to creditors originally considered to be "out of the money." Washington Mutual Bank (WAMU) (Delaware), K Bank (Maryland), First Regional Bank (California), Corus Bank (Illinois) and Capital Bancorp (Michigan), on behalf of the Federal Deposit Insurance Corporation: These in- and out-of-court matters have included investigations into potential claims of director and officer liability, liquidation of bank assets, multimillion dollar tax claim recovery litigation and other litigation with trustees representing failed bank holding companies. International Finance Corporation (IFC): (Costa Rica). Represented IFC on the out-of-court restructuring and sale of the Juan Santamaria Airport, Costa Rica. The restructuring resulted in IFC's Award for Best Recovery for Fiscal Year 2010. Kodak: Chapter 11 (S.D. New York). Represented the Pension Benefit Guaranty Corporation (PBGC) individually and on the Official Committee of Unsecured Creditors. The PBGC held a claim of more than US$1 billion, which was preserved and protected. Mirant: Chapter 11 (N.D. Texas). Represented Mirant and its affiliates in one of the largest energy bankruptcy cases filed in the United States. Arcapita: Chapter 11 (S.D. New York). Represented two non-US financial institutions in this first-of-its-kind bankruptcy of a Middle Eastern bank on issues involving Shari'ah financing. European Investment Bank (EIB) (Europe): Advised EIB on a US$1 billion financial transaction with Ford (Europe) at a time when the automobile industry was in significant financial distress. The Clare at Water Tower: Chapter 11 (N.D. Illinois). Represented the Official Committee Unsecured Creditors (and residents), which resulted in the successful sale of one of the most valuable continuing care retirement communities (CCRC) in the United States and the protection of residents' interests. Middlebrook Pharmaceuticals: Chapter 11 (Delaware). Represented the Official Committee of Creditors, which resulted in the sale of assets and more than 100 percent recovery to unsecured creditors. Allegheny Health, Education and Research Foundation (AHERF): Chapter 11 (W.D. Pennsylvania). Represented the Commonwealth of Pennsylvania in one of the largest bankruptcy cases of a distressed health care system in US history. Lehman Brothers: Represented various creditors against Lehman Brothers entities in the United States, England and the Netherlands. Refco: Chapter 11 (S.D. New York). Represented creditors holding approximately US$100 million in claims, which resulted in a recovery of more than 98 percent. Response Oncology, Inc.: Chapter 11 (W.D. Tennessee). Represented the debtor, a nationwide group of oncology practices, in its restructuring and ultimate sale of assets. Computer Learning Centers: Represented SLM Corp. (Sallie Mae) in one of the largest educational bankruptcy case filings in the United States. Assisted SLM on recovery of millions of dollars in claims and on other issues related to the bankruptcy. MSCi, Inc.: Chapter 11 (Baltimore, MD). Represented the Official Committee of Unsecured Creditors in the reorganization of MSCi, a publicly traded debtor in what was at the time North America's leading audio-visual integration company.